I never tasted cheesecake until I was in my early 20s and even then I was never sure about a heavy rich filling on top of a crunchy biscuit base - although my first cheesecake had more of a soggy base. As time went on I realised there are so many different types of cheesecakes about and it was just finding the right one for me. They can be baked, fridge set or even steamed! They can have a biscuit base, sponge base or even no base at all. They can have chocolate, fruit or just on its own. 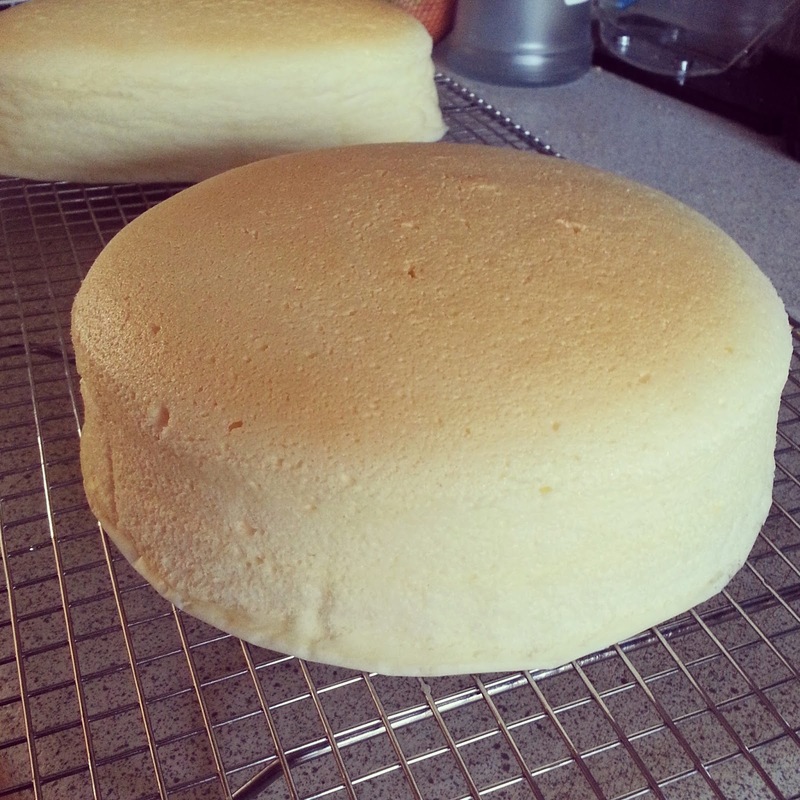 East asians are more likely to prefer a lighter sponge style cheesecake that has been dubbed "Japanese Cotton Cheesecake". It is so light and so moist that one of my friends who first tried this cheesecake even said, "it's like eating a cheesecake cloud!" I have also had others who are not so fond of it because they are stuck in their ways of liking the rich creamy sweet desserts that they are used to. 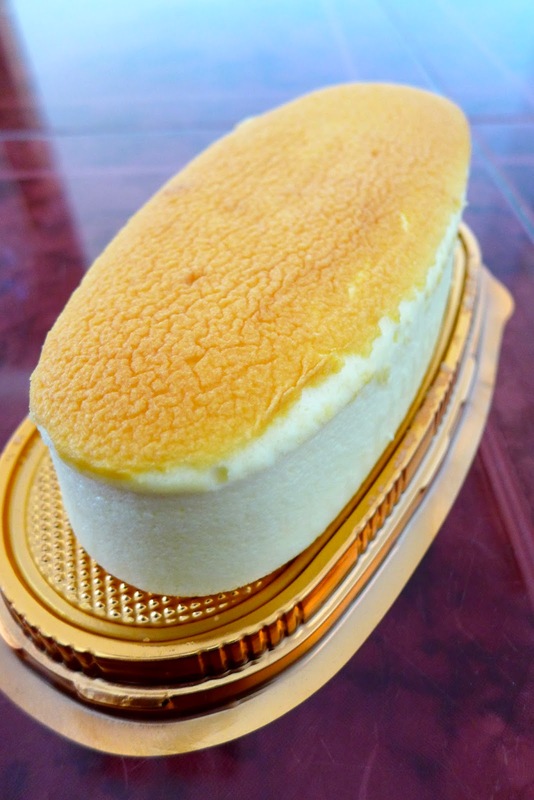 Japanese Cotton Cheesecake is by far my favourite cheesecake, although I had never tasted one from an actual bakers - until this year when I was in Hong Kong. I still prefer my version because the one I bought had a weird artificial taste and weird texture. This wasn't just my opinion, even my sister in law who loves cotton cheesecakes turned round and told me that mine was better than the one we had in HK. This bought one left me so disappointed but also quite proud that mine tastes better. It isn't hard to make, but it is hard to perfect. I would always get frustrated as to why my cheesecake looked like a volcano but after some searching for tips on how to make it look pretty, I was ecstatic when I finally made a pretty (and tasty) cheesecake. Don't get me wrong, I still like the rich creamy cheesecakes that have the crunchy biscuit base - ONLY if it has a crunchy biscuit base. My mum makes hers with a sponge base and topped with jelly - as much as I love my mum and her cooking, I don't particularly like that combo. Something about sponges being put with ingredients that soak in to the sponge makes me wanna gag (trifle is the worst). It took a lot of practice for me and to this day, I still make the "rookie mistakes" because I tend to fall back in to bad habits. 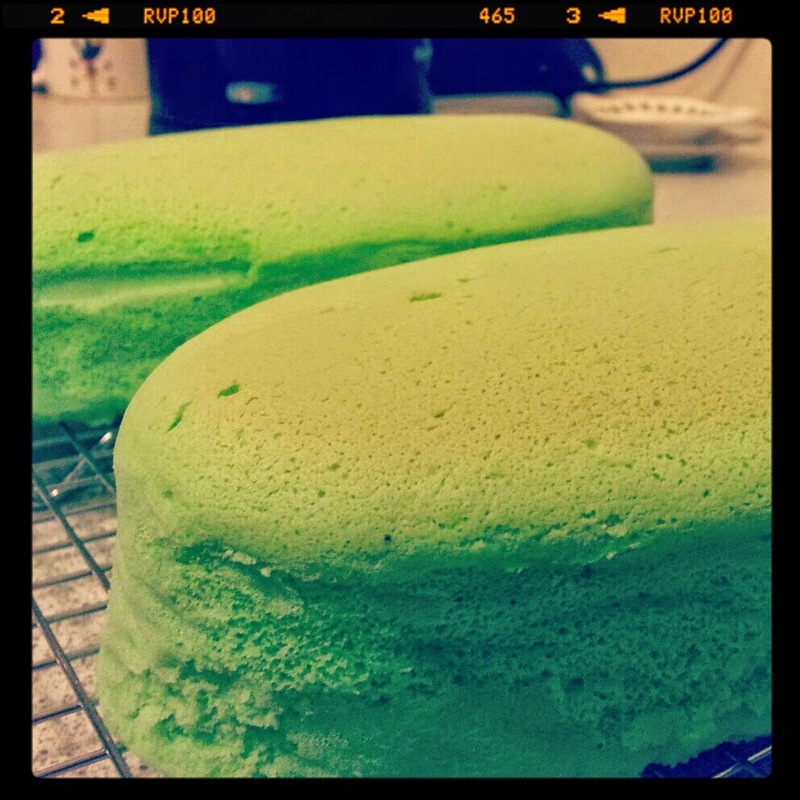 The pans I use are the traditional pans that are used by bakers in East Asia to make these cheesecakes so it may be hard to source these styles of pans in the UK. I had to get mum to buy them from Hong Kong for me. Don't be disheartened if you can't get them because deep round cake tins work too but make sure it is NOT loose based! If you only have a loose based tin, wrap it up in tin foil so no water gets in. Remember to adjust cooking time when baking them in different sized tins. 2 of these tins should equal to two 6" or 7" deep round cake tins. If you live in the UK and are interested in buying these pans, please get in touch and I can see what I can do about sourcing them over here. Line your tins with baking parchment. Ensure the parchment goes above the sides of the tins. Preheat oven to 160ºC and move the rack you intend to bake on to the lowest section of the oven. Place all ingredients from A) in to a heat resistant bowl, place on top of a pan of barely simmering water and whisk to combine. Continue to whisk until it is slightly thick. Take off the heat and whisk in B). Once combined, whisk in C). In a separate bowl, whisk the egg whites from D) until it is all foamy, then add the Cream of Tartar and salt. Continue to whisk until soft peaks start to form. Gradually add the sugar - a little at a time - until the whites are stiff and glossy. Try not to overbeat! I love the look of whites when they reach the stiff peak stage! Fold the whites in to the Cream Cheese mixture in 2-3 batches, using the balloon whisk. Once combined, you can use a large spatula to complete the folding process to ensure all whites are incorporated. Gently pour the mixture in to the baking tins. Bake in a bain marie in the oven for about 45 minutes, or until a skewer comes out clean when inserted in to the cake. If you have a very cold kitchen, take your cheesecakes out of their tins and complete the cooling process in the switched off oven with the door ajar. Best to try and take off the parchment immediately after it comes out so as not to get the wrinkles you see here. I love flavouring mine with Pandan! To tell the truth, until end of high school, I refused to try cheesecake because it had the word "cheese" in it. Now I love cheesecake!! Your recipe looks delicious! 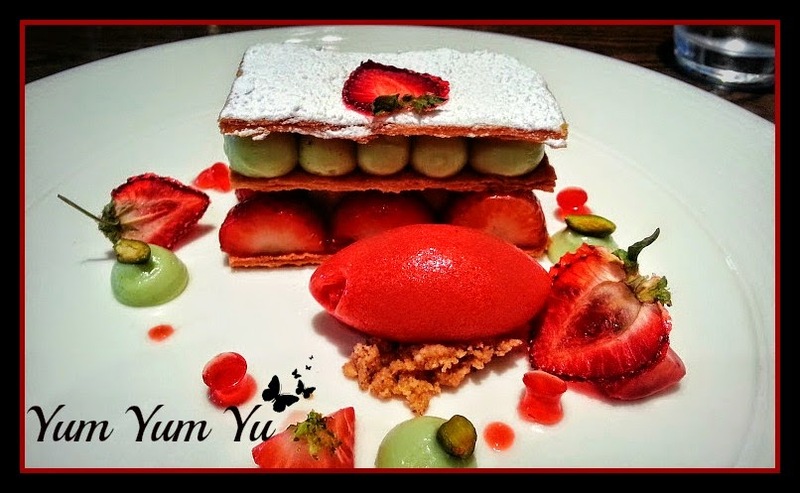 I've heard of Japanese cotton cheesecake before, but have yet to try it! Thanks for the recipe!! It seems to be good. I will try it in the new year, Although I don't know exactly, what it is "cream of tartar", in our country its a salty, cold souce made in eggyolk and oil. Hi Dávid, are you thinking of tartare sauce? it's different, Cream of Tartar is Potassium bitartrate or potassium hydrogen tartrate. It is used in baking to stabilise egg whites.